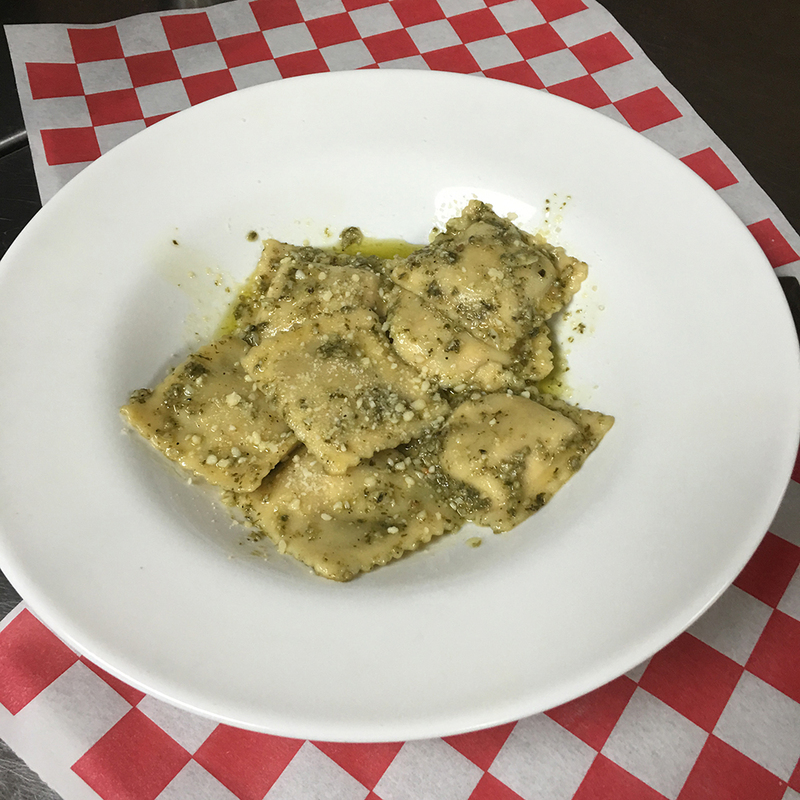 Gluten free grilled vegetable ravioli with basil pesto sauce. Yummy!!! !